okay first things first – sweetheart dress giveaway winners! congratulations! we’ve emailed the winners. thanks so much for a great giveaway, Shannon! 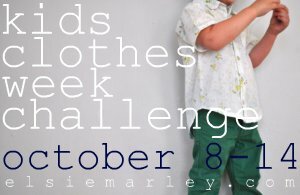 for some reason, my Kids Clothes Week Challenge planning didn’t come easily this time. i had tons of half-formed ideas, but nothing that jumped out as “must make.” last spring and last fall, i no trouble prioritizing my always-overflowing mental to do list into a nice balance of wardrobe staples and new pattens i’d been wanting to try. my KCWC project always end up some of my favorites, and also tend to be worn most by my kids. 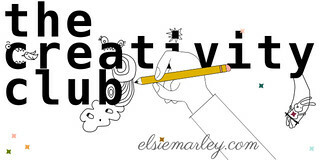 you can see all of my kcwc posts here if you’re curious. so last week, after organizing my stash and deciding i wouldn’t buy any new fabric because i have plenty (my first challenge-within-a-challenge), i waited for inspiration to strike. i looked for those perfect combinations of fabric and pattern that would cause me to create wonderful things during KCWC. i just couldn’t figure it out, aside from a couple minor projects. i posed the question to instagram, to see if any of my sewing buddies out there could help. i got some good suggestions, but then…THEN…Rae threw out the notion that she should just give me HER list and i could make that. at first she meant it was a joke, but then it turned into a “hey that could be really fun!” type situation. apparently her mental to do list was too long too, and she needed help paring it down. she sent me her list and i picked the ones that inspired me…and a SEW-OFF was born! i own most of Rae’s patterns already, and they’re always some of my favorites to sew, so she was the perfect partner. pretty self-explanatory. find an adult tee to convert to a miniature skinny tee. i almost always use upcycled knits when i sew FBSTs, so this is a fun one. 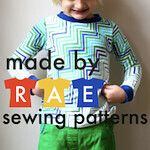 you can get Rae’s flashback skinny tee pattern here. i was SO excited to see this on Rae’s list! i’ve totally wanted to make one of these and i’m excited to give it a go. at this point it’s not available as a pattern, so i drafted it myself using the flashback skinny tee as a bodice block and my washi pattern as a reference. i’ve got no idea if it’ll work but I’m sure hoping it does! sometimes i’ve been lucky enough to come across fabric by the amazing heather ross during my trips to bolt, and sometimes i’ve even bought some! i tend to hoard it, though…i’m sure lots of us do. this challenge is to make pj pants (or anything!) from my hoarded fabric! i looooove Rae’s pierrot pattern and had already cut out a larger size as a “maybe” when I saw Rae’s list and her suggestion to shirr it! challenge is to use any peasant blouse-type pattern (if you don’t have the pierrot, maybe use the sweet little dress by leila & ben?). If you use Pierrot, Rae suggests to add about 1″ to the folded width of the tops of each of the sleeves to add more room around the neckline for the shirring (4″ total). she posted a shirred pierrot last week for an example. after i saw gail’s adorable hedgehog pants on elsie marley, i started browsing the mini boden catalog myself. it’s so inspiring! i’m often pinning things by companies that i want to try to make, so that’s the challenge here – be inspired by something you see in a catalog. could be Gap, Hanna Andersson, Crewcuts, mini boden, whatever! 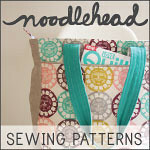 want to sew along within the sew along? join us! this was just a low-key* challenge designed to motivate us, so if you like any or all of these ideas, go ahead and make them along with us this week! and then let us know!! remember, the KCWC challenge is to spend 1 hour each day sewing for your kids, so these are not meant to be ridiculously intricate or time-consuming. just easy, cute items to add to your kids’ wardrobes. and if you don’t…no worries at all! there’s loads of inspiration out there! i really can’t wait to see what starts popping up in the KCWC flickr pool. ladies (and gentlemen?? 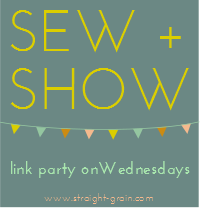 )…let’s sew! KCWC starts tomorrow! very cool idea! Can’t wait to see your finished stuff. Still trying to pick what to include for it. This round I have the opposite problem, a much too long list I need to edit! I have had the SAME problem with KCWC this year! Lack of motivation! But this is SOOO fun! Great idea! And I loved your last line! You go girl! Sorrry Rae! I was cracking up on Instagram when I saw the gauntlet thrown…excited to see what you ladies come up with! looking forward to seeing what you make!! GO FOR THE GOLD!!! OH YEAH! Bring it on!!! I feel like we should make t-shirts – “Team Kristen” or “Team Rae”…but it would be so hard to choose! this sounds like fun! too bad I already over-planned. hah. can’t wait to see your stuff! Sounds like a great plan! 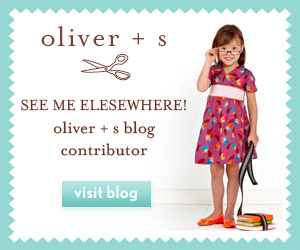 I have been wanting to give some of my Oliver+ S patterns some mini boden touches. I can’t wait to see what you make this week! Ooooh, can’t wait to see all your creations, especially the mini Washis! I’ve been dying to make one too. So how do we declare a winner for this sew-off? Can I be the judge!?! Hah – actually, that sounds like a horrible job. Good luck this week! thanks for the motivation to make a catalogue inspired dress. Has been on my list but finally got it done thanks to this!